Psycho Solo Diver – Online Diving Blog and more! » Flat As A Lake! 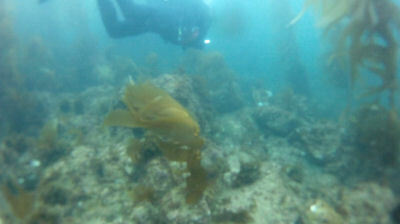 Another Perfect Sunday Dive! Flat As A Lake! Another Perfect Sunday Dive! 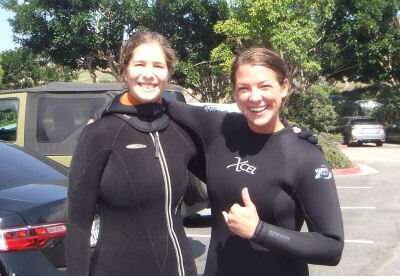 The swell map was solid blue around Palos Verdes and there was a big turnout at Terranea today – maybe 20 divers and a lot of new faces. I was the first one off the Point – it was like slipping off the rocks and into a lake. Having no idea where to drop on the statue and memorial rocks, I decided to follow Ben and his group. After a short surface swim, we submerged. Surprisingly, I had no issues going down – it usually takes me a while to equalize. We followed Ben, who was carrying a memorial rock for his dead cat that he was going to place by the statue. So when all is complete, there will be three rocks – Shanon Wesserling and Dennis Gunn, who were regular divers in our group… and then Ben’s cat. Well, Ben did a better job of trying to find the statue than I did… but the thing is, we never found the statue. We started heading to the Cove after 10 minutes, Ben carried the rock for the entire dive. My photos were OK – they’re starting to all look the same. Nothing out of the ordinary or spectacular to report on this routine dive. 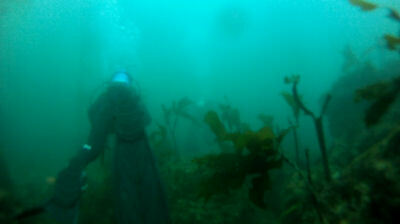 Some other divers later reported running in to two divers measuring the reefs in the garden. Everyone made it out with an easy exit; OK, I tripped over a rock, but it was still easy. 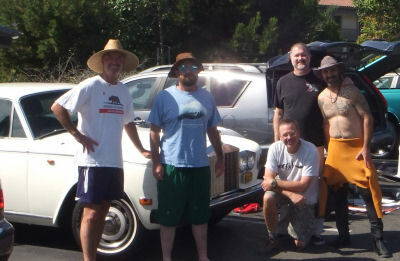 Today’s crew – Rob, Me, Joe (kneeling), Ben and Randy. Debriefing was light with potato chips and Budweiser, the King Of Beers. I complained to Ben that we were too shallow towards the end and that I kept floating up. 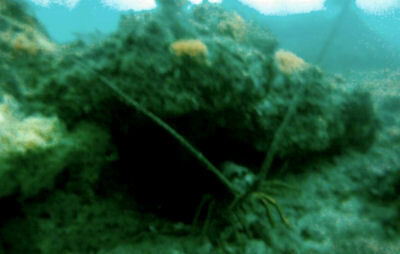 We saw the two divers who were measuring the reefs – they were carrying writing boards and had measuring tapes. Emily and Jackie were measuring algae in the garden. Ben and I gave them our contact information and told them to join us every weekend, usually here. They were very friendly and even took a Budweiser. I believe it is Emily that wants to be a Marine Biologist. 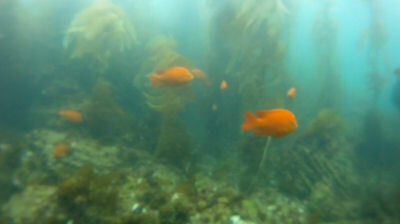 I am going to try and break the routine and go diving down in Laguna Beach soon. 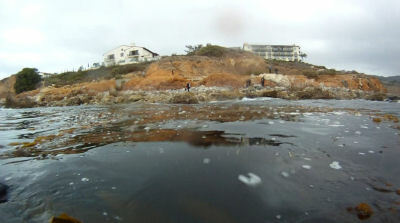 Laguna has been hit hard by south swell this summer, but that seems to be getting better now heading into fall.